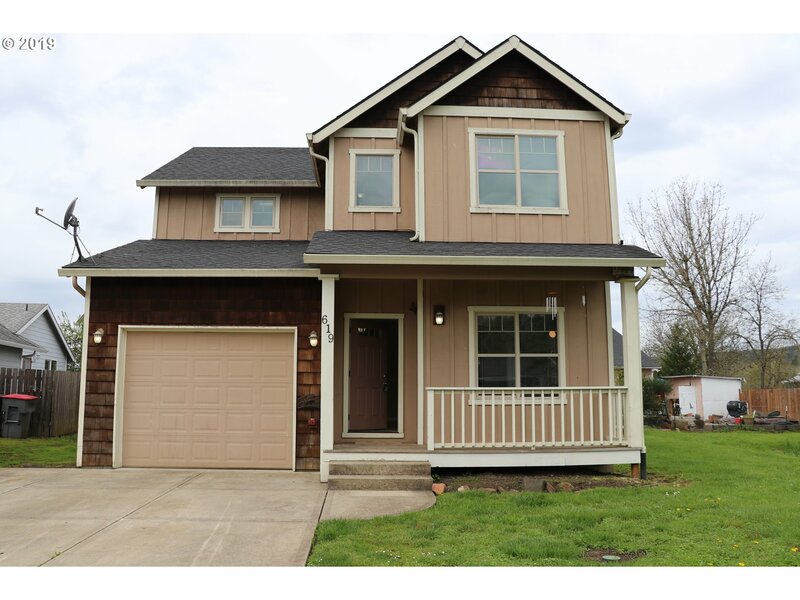 All Sheridan homes currently listed for sale in Sheridan as of 04/21/2019 are shown below. You can change the search criteria at any time by pressing the 'Change Search' button below. If you have any questions or you would like more information about any Sheridan homes for sale or other Sheridan real estate, please contact us and one of our knowledgeable Sheridan REALTORS® would be pleased to assist you. "Surround yourself with breathtaking views in this tucked away log cabin style home. This beautiful home sits on 107 acres of land and is surrounded by fruit trees, a 1000sqft enclosed garden, harvest ready timber, and has plenty of room for both animals and farming. The spacious property includes a shop, a barn, and is powered by wind, solar and generator energy. Inside you will find a wood burning fireplace, plenty of natural light." "Great opportunity to start a vineyard with approximately 4 acres of Pinot Noir and Chardonnay already planted. Much of the remaining acreage,consisting of prime Jory and Dixonville soil is ready for planting.Right next to J Wrigley vineyard,whose 2017 Estate Riesling received the Editors Choice award and 96 points and the 2016 828 Single Clone received a rating of 91 points from Wine Enthusiast Magazine." "Fertile farmland conveniently located on HWY 22 and ready for your crops. Currently, 60 acres now being used for crops and approximately 48 acres of Timber (2/3 Oak and 1/3 Fir). Fields have 2 entrance points from road. Four out buildings for farm utility or animals. Small Pond on site which has water rights for livestock. Live in or rent the home and outbuildings for additional income. Home has had some improvements made." "111 Acres prime EFU Zoned level/gentle sloping farm land @ 360 elevation w/rich Bellpine, Woodburn, Rickreall & Hazelair soils, 12 springs, 2 ponds & Mtn views; Bachelor, Hood, Jefferson, St Helens, Adams. 100+ acres ready to plant in open fields/pasture land; Vineyard potential w/Vineyards nearby! Wheat, Oats, Rye Grass, Hay, Dry Land Corn & Gray Oats have flourished. Pear/Apple/Plum/Prune Trees. Outbldgs, Pole Barn, farm Office, shop+"
"Enjoy Oregon at it's best! This 16+ acre property offers total privacy, beautiful orchard, year a-round creek. Workshop, and for the horse-lover 2 barns, a large covered riding arena (60X120), horse stalls and plenty of room to roam. Property is fully fenced and has water rights. The beautiful 2-story farm house is nestled among giant oak trees. An absolute must-see beauty!" "A once in a lifetime property on 63ac. Tack up and ride for miles in the heart of Willamette Valley. 4bd 2 ba farmhouse with fenced yard large kitchen ,pantry, laundry rm and first floor master. Lots of storage. A 30X50 metal bld with concrete fl. Two 12x12 stalls with room for more in a 26x60 shed bld with insulated and feed storage. Horses have fenced pasture and two paddocks. Chicken coop,fruit trees, swimming hole at deer creek"
"HUGE PRICE REDUCTION! Brand new never lived in 2018 Double-wide on over 85 acres! Prime potential for vineyard. Lovely south sloping acreage. Currently in water district. All set up with power and sewer. Suver Silty Clay, Waldo and Rickeal soil types. Partially fenced. Drainage into canyon. No current water rights. Seller in process of installing two ponds for irrigation. Buyer to do due diligence." 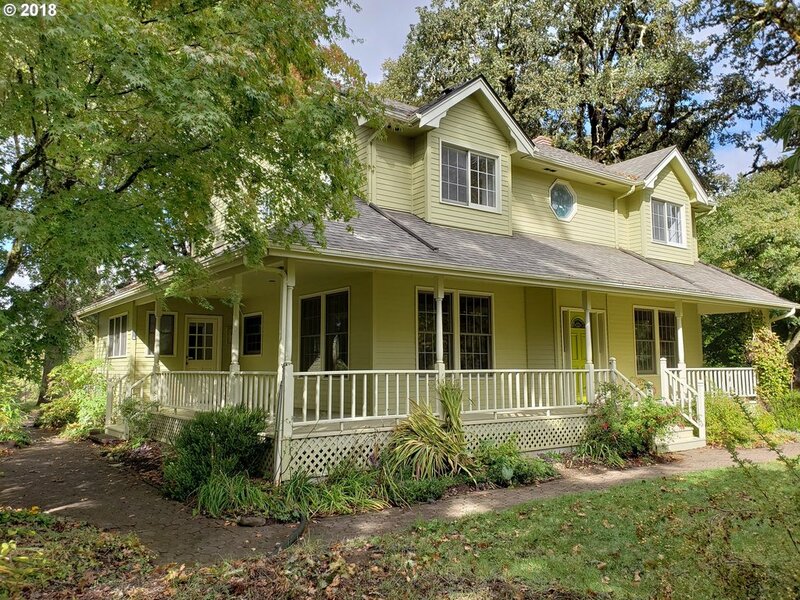 "3-bed,2 bath nestled on 5+ acres of marketable timber has a great room w/wood-burning stove, exposed beam and dining area, and opens to the kitchen with granite counters, farmhouse sink and walk-in pantry. LL master has a large walk-in closet and an ensuite bath and adj office space with built-ins. Unique lighting fixtures throughout. The grounds include front and back decks, a hot tub, shop,greenhouse,garden house, and detached 2 car"
"Plant Your Roots Here! Gorgeous view 43 acres w/21 acres of quality vineyard soils, SW exposure, 500-700' elevation. Recently logged with some woods remaining. Two shop buildings, fixer mobile home residence, spring water w/cistern. 2nd mobile of no value, all structures sold as-is.Replacement dwelling permit allows one replacement dwelling, with many view sites to build! McMinnville Schools. Buyer to verify all." "VA requirements met. Wired for generator. 15 min to McMinnville. 36x48 Equine Barn. 3 stalls, 2 with 12 x 12 overhang and 24' runs. 12x12 tack room. 100x120 arena. 24x36 Garage 10x14. Greenhouse 20x14 deck; 15x10 patio. Well pump 6 months old. Roof 2015, CH&A new 2010 Septic tank new 2011 New cabinetry flooring & restrooms 2011. Large rooms natural lighting. Handicap ramp. Local grocery, post office and 2 banks; country dollar store." "Proposed home on 2.5 acres! This plan features many custom options so you can build to best suit your needs. Main level master suite w/spacious walk-in closet. Huge bonus rm located upstairs, or have the option of a 2nd master suite or 5th bdrm. Septic approved & well already in place. All pictures are from a sample home - actual finished product may vary. Final price & amenities subject to approval through design process w/Adair Homes." "Proposed home on 2.5 acres in the heart of wine country! This plan features many custom options, so you can build to best suit your needs. Open concept floor plan allows plenty of space for gatherings. All pictures are from a sample home - actual finished product may vary. Final price & amenities for home subject to approval through design process w/Adair Homes. Septic approved & well already in place." 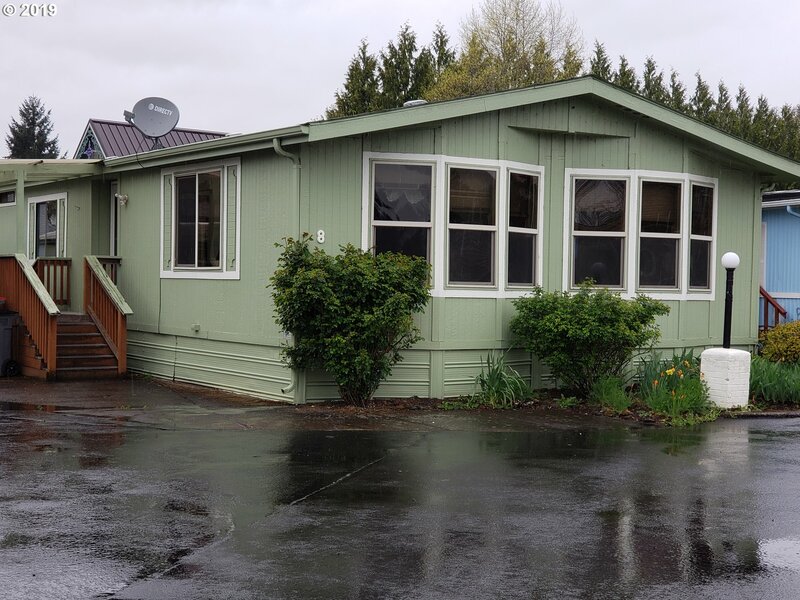 "Fantastic newer triple wide manufactured home on 2 acres! Lots of upgrades made when built - Large island kitchen with upgraded cabinets, huge master bedroom w/extra sitting area & slider, 2 living areas incl. 1 with propane stove, etc. Enjoy 2 private acres - plenty of room for a hobby farm or just space to roam. Several outbuildings for storage or shop space. Great opportunity for large home on small acreage at an affordable price!" "Extensively renovated home. New hardwood floors, interior and exterior paint, counters, appliances, roof, landscape, lighting, plumbing, etc. Huge living room with high vaulted ceilings. Amazing master bath includes full tile floors, tub and shower. This home is a must see!" 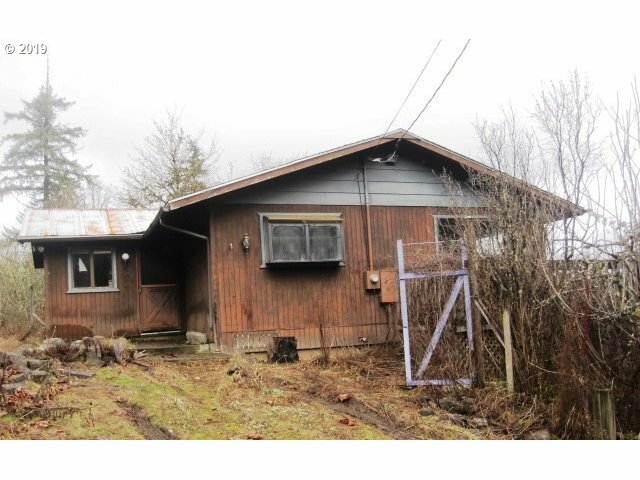 "Ranch Style home in rural Sheridan OR, this one is a major fixer, featuring 3 bedrooms and 1 bath per thetax records, additional bathroom has been added. Come take a look at this one it may be the one your arelooking for, secluded and off the beaten path. Detached garage, for vehicles and storage." "Flat, useable acreage with city services and nice territorial views. Ample room for RV and other toys. Reasonably good condition, past listings suggest previous remodeling. Central A/C. Located at the end of a non-through street. Bonus room off of master. City services. Property was built prior to 1978 Lead Based Paint potentially exists. This property may qualify for Seller Financing (Vendee). See REO Instructions." "Property is in flood zone. Currently tenant occupied, need 24 hr notice for showings - showings must be by appt only." "Home & outbuildings of no value. Value is in the land. 2 access areas & possible 5+ lots, or duplexes or triplexes or a SFR on nearly an acre in town. Plenty of parking! Access from N.Bridge St & Faulconer St. As always, a buyer should always do their due diligence. Currently, seller is living in the home and land has been a popular huge garden right in the middle of town." "Cottage tucked away on a cozy lot, wooded for privacy & seclusion!! Charming entrance to quaint home, nice floor plan, with built ins. 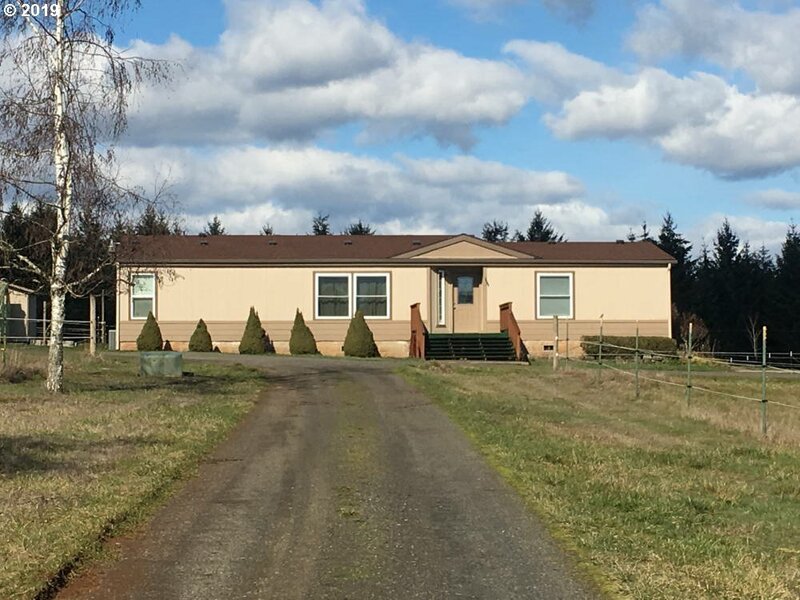 Landscaped with assorted flowers,lilacs,fruit trees.Room to park RV, garage w/additional space for hobbies, tool shed, with canning / storage shelves. Gazebo w/ hot tub in little forest area. Hot tub needs some repair,can stay. Soft tub in garage works and stays. Electric fireplace stays." "Comfortable,1400 sqft Doublewide in 55 + Park.New Exterior paint 2017,NEW roof 2015, MaSTER BEDRM HAS EXTERIOR DOOR TO Large covered back Deck , fenced back yard, Newer counter tops in Kitchen. Large Living Room & Dining area. All Kitchen Appliances & Washer & Dryer Stay."